When she reaches the corner of fluffed-up straw Herman calls his bed, King-Sonnen drops down to her knees and caresses the white star on Herman’s face. Herman is calm, a gentle giant armed with tusks he has no interest in using and a big belly he rolls over to display, hoping for a quick tummy rub. King-Sonnen obliges, scratching Herman’s stomach. 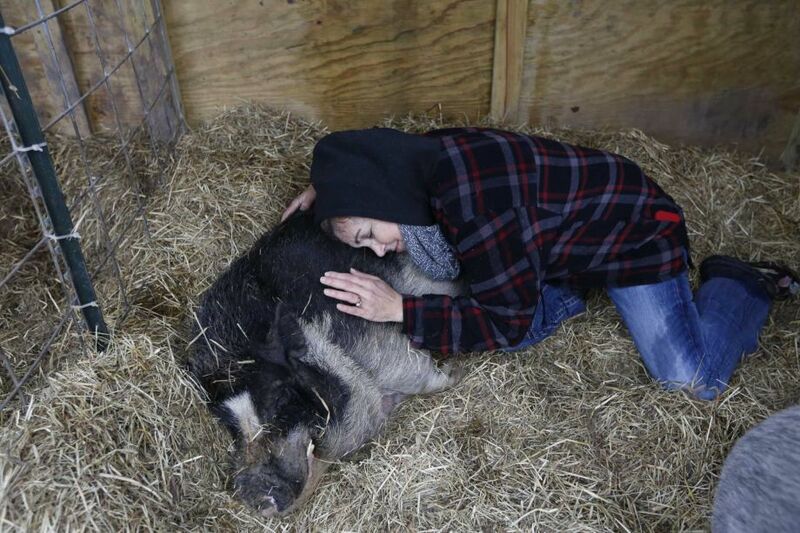 When the pig slides back onto his side, King-Sonnen lays her head on his ribs for a hug. 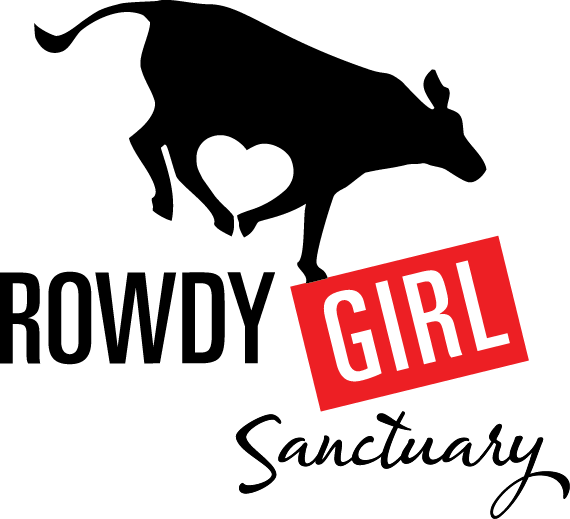 The property now known as Rowdy Girl Sanctuary wasn’t always a safe space where animals could loll about all day. 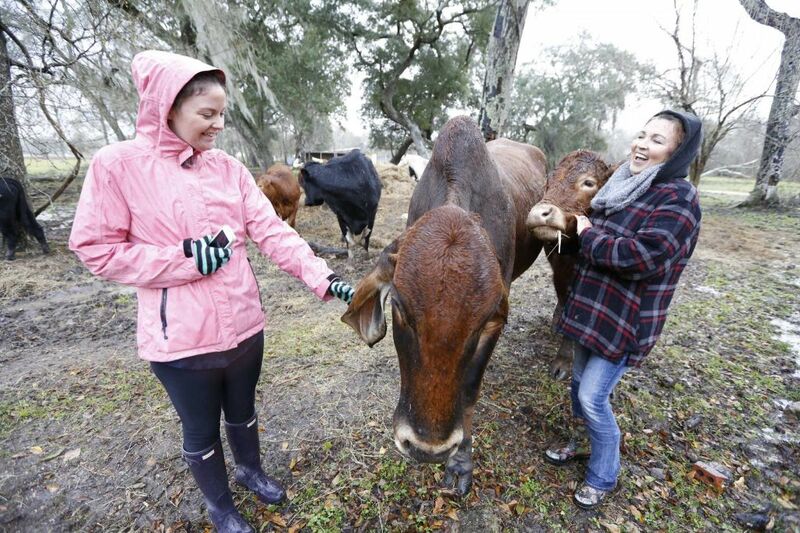 A little more than a year ago, the 96-acre lot was a working cattle ranch where cows were bred, raised and sold for slaughter. 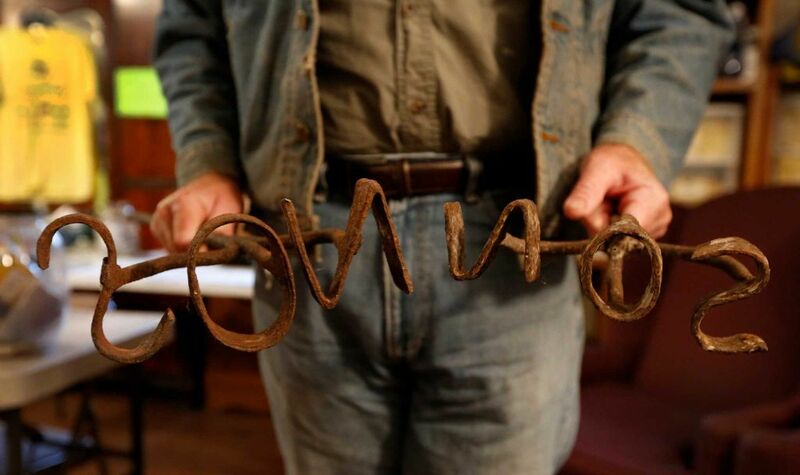 “I usually kept about 30 cows, but I tried to lower the number to about 25 in the wintertime,” says Tommy Sonnen, who originally bought the farm back in 2002. 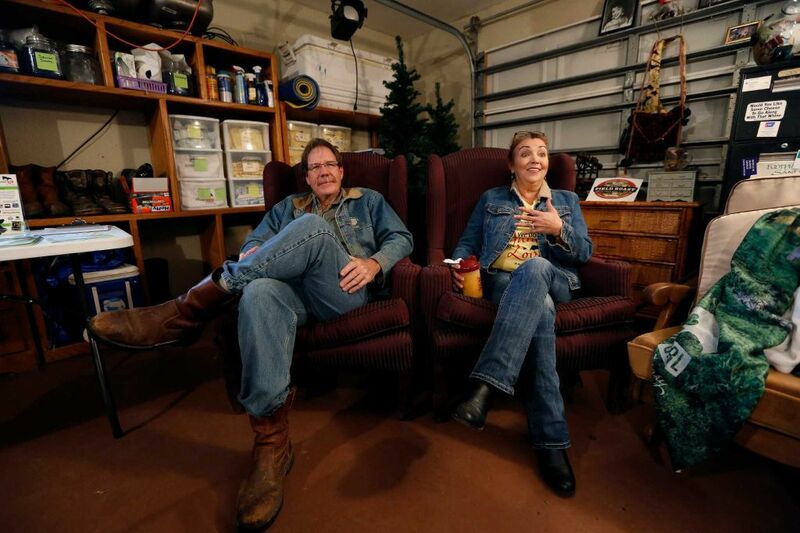 He married King-Sonnen a few years ago, and his bride wasn’t shy about sharing how much she hated the sight of the red trailer that hauled calves away to the meat markets. 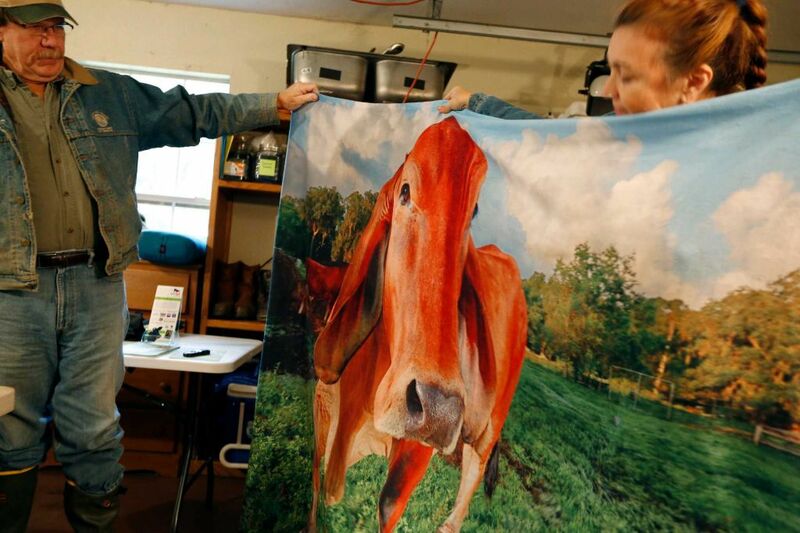 In 2014, King-Sonnen converted to a vegan lifestyle and hatched a plan to buy Sonnen’s herd and repurpose the property as a vegan animal sanctuary – affectionately named for King-Sonnen’s pet cow, Rowdy Girl. 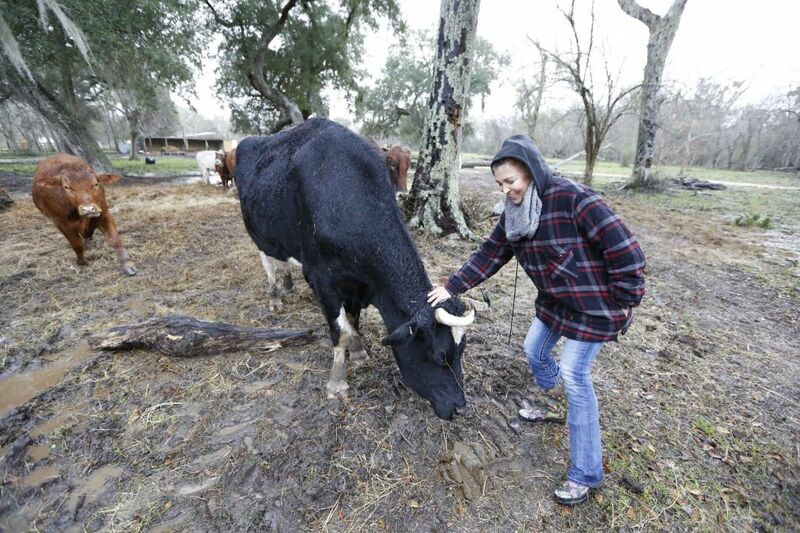 She hosted events at the farm and set up a donation page on the crowdfunding website IndieGoGo called “Save the Cows from Slaughter.” Within four months, King-Sonnen raised $36,000 toward the purchase of the cows and the cost of creating a sanctuary, exceeding her original goal of $30,000. 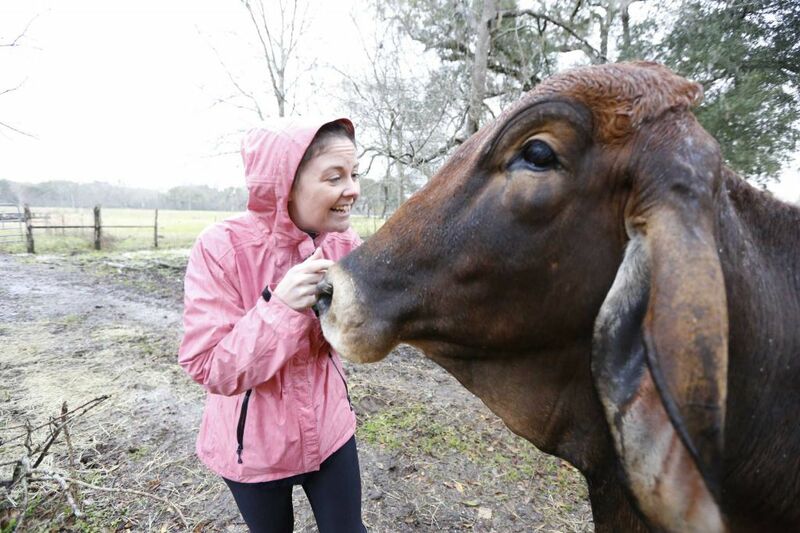 The grassroots effort earned her the title “Rookie Activist of the Year” from the vegan magazine VegNews. 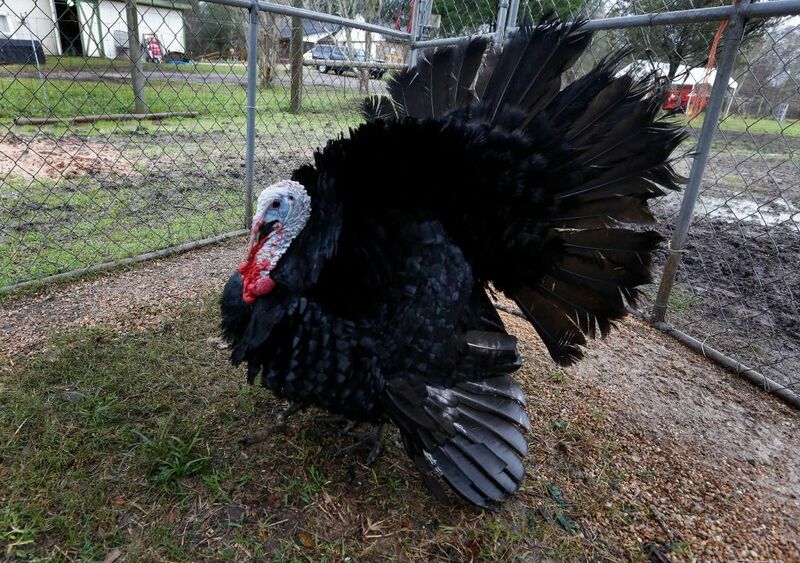 Herman was the first animal to come to the sanctuary. 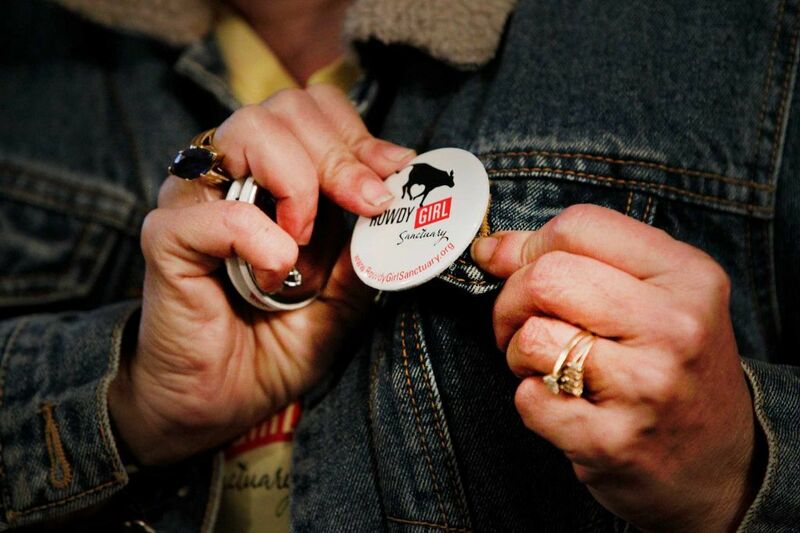 When the sanctuary started, there were 30 animals. Now, the number is closer to 65. 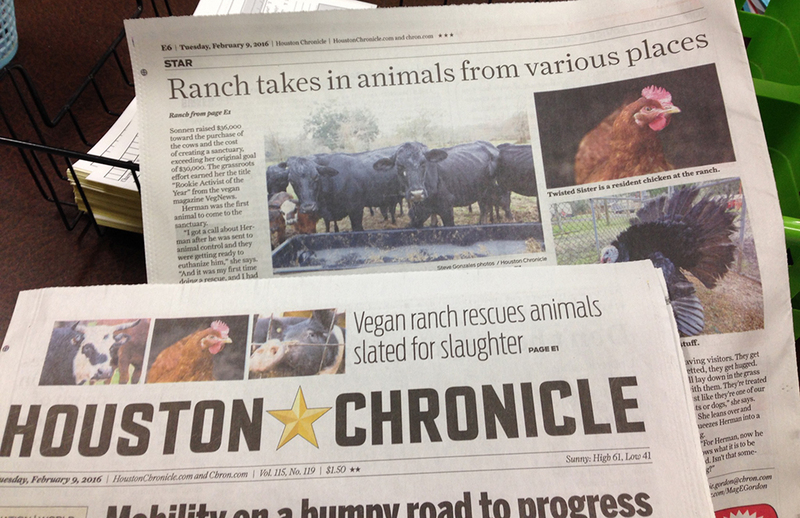 “In less than a year, we’ve adopted and rescued 35 animals: pigs; chickens; cows; a turkey,” says King-Sonnen. 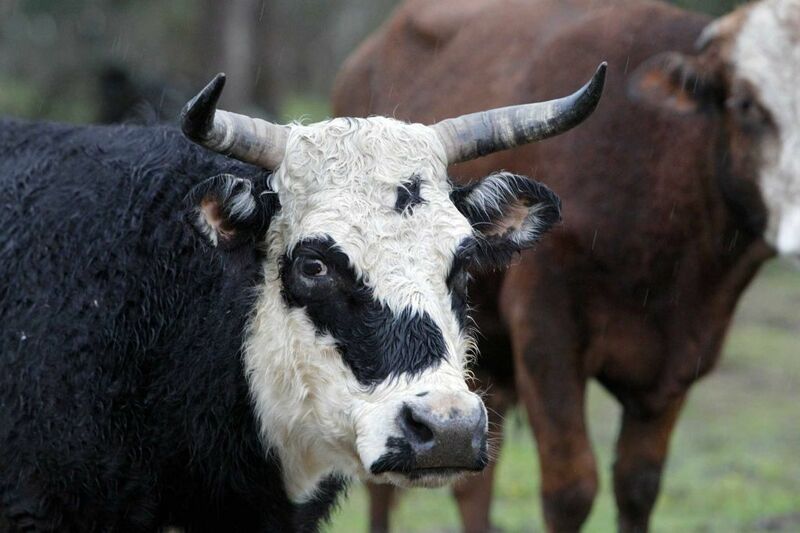 Animals find their way to the sanctuary through a variety of ways. 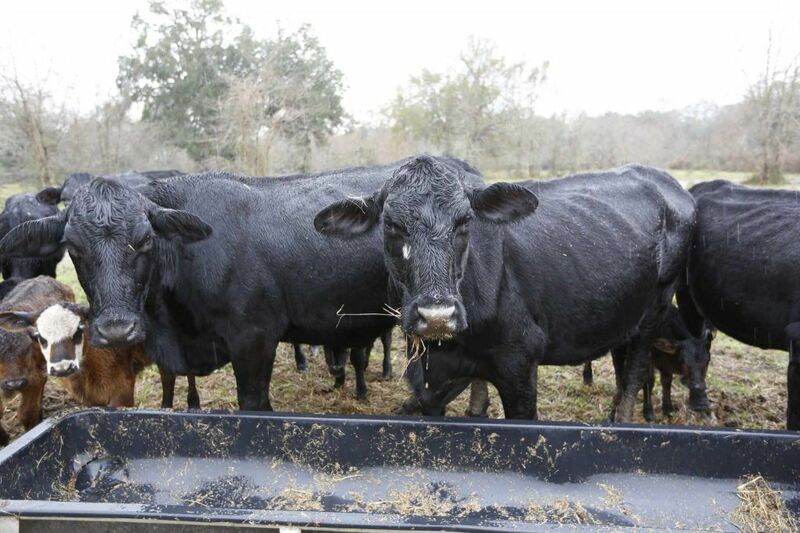 Eight cows came from Florida via trailer when their owner could no longer handle their care. 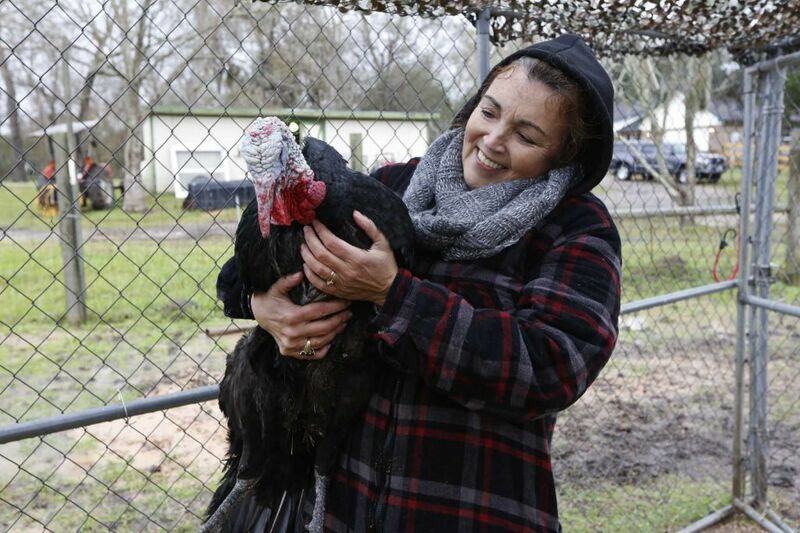 Cooper the turkey was brought in by a local activist who purchased him at a farm supply store in Houston. 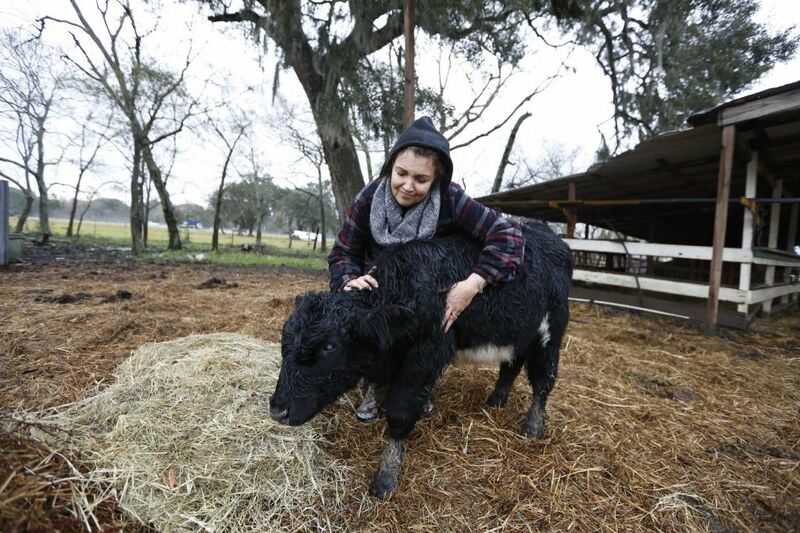 Then there’s Gizmo, a young pig raised by 15-year-old Pearland resident Alena Hidalgo as part of a Future Farmers of America project. Alena met Gizmo when he was a piglet. She cared for him for several months, feeding him, cleaning his pen and taking care of any medical issues that arose. 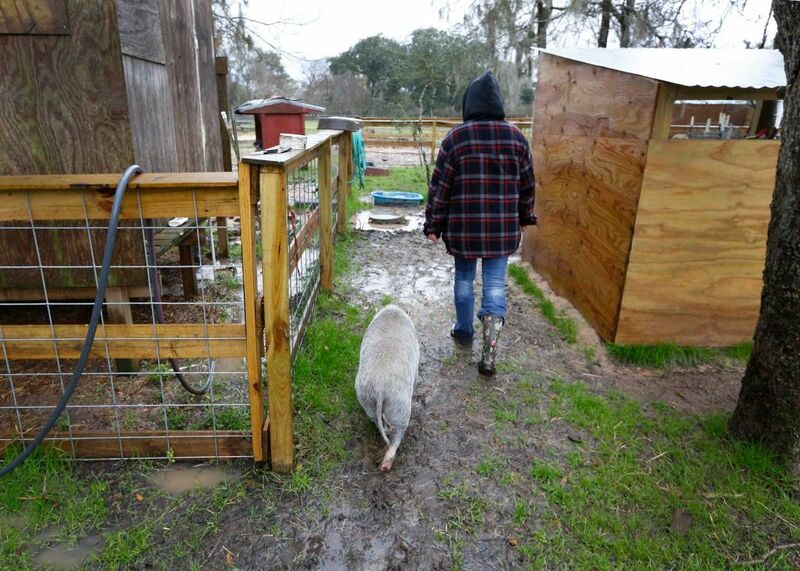 Typically, FFA students bring their pigs to show and eventually sell them onsite. They go to slaughter from there. But Alena said she “fell in love” with Gizmo and couldn’t bear the thought of selling him by the pound. 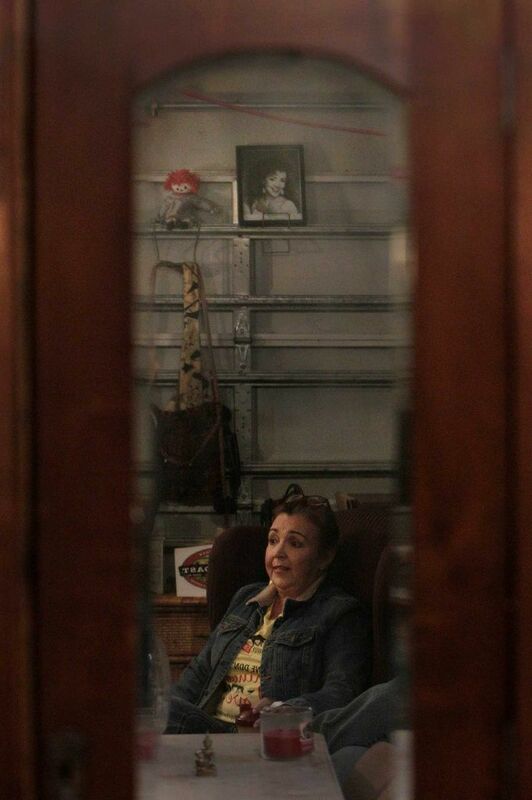 She spent months searching for a rescue organization that could take care of her pig after she brought him to show, striking out repeatedly. Eventually, Alena’s mother heard about Rowdy Girl from a friend at church, and Alena contacted King-Sonnen through Facebook. These days, Gizmo waddles around in a pen not far from Herman. Alena comes by for a few hours of volunteer work after school each Thursday. 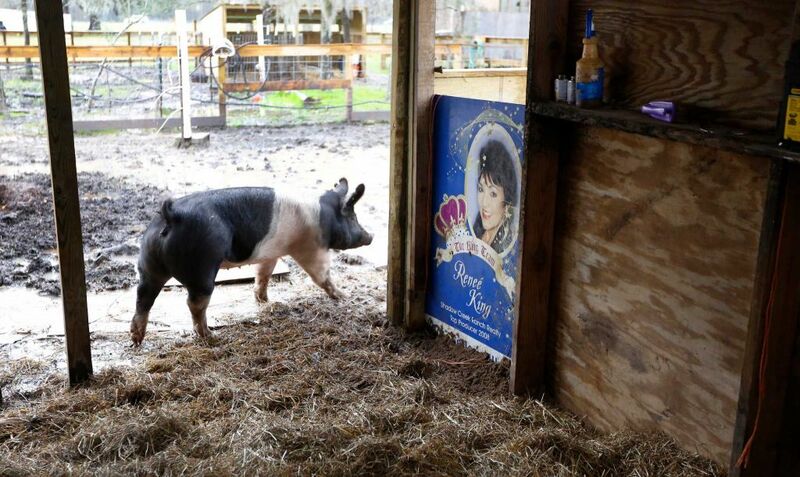 From the outside, life in a sanctuary may not look all that different than life on any other farm, but King-Sonnen insists it is. 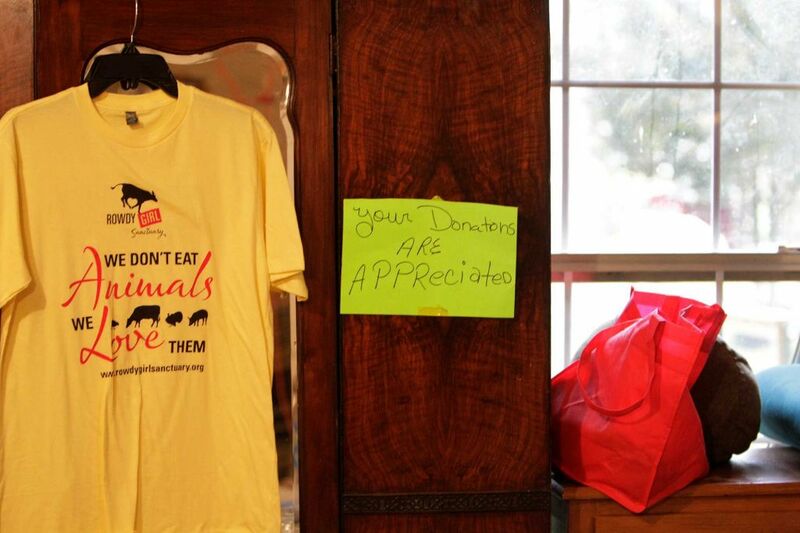 “Saved animals, they get to go through the day just being with their family. They get to go through the day knowing they’re going to be loved. 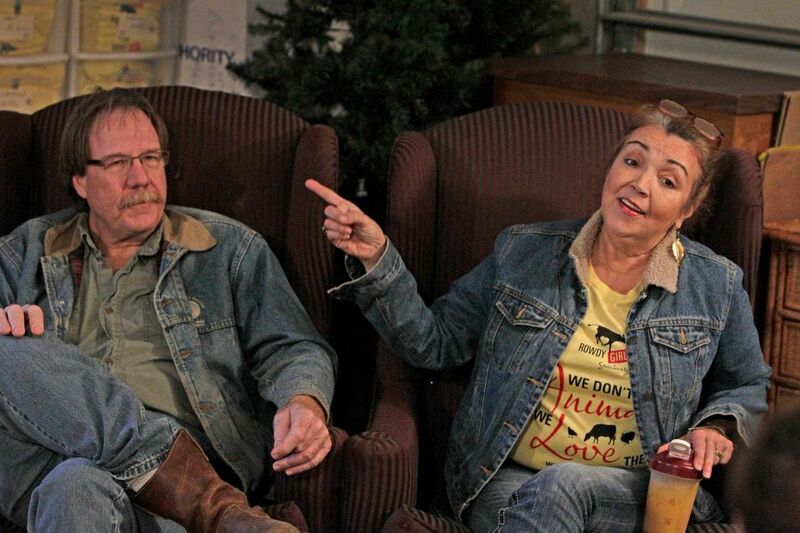 They get visitors and they’re used to having visitors. They get petted, they get hugged. I’ll lay down in the grass with them. 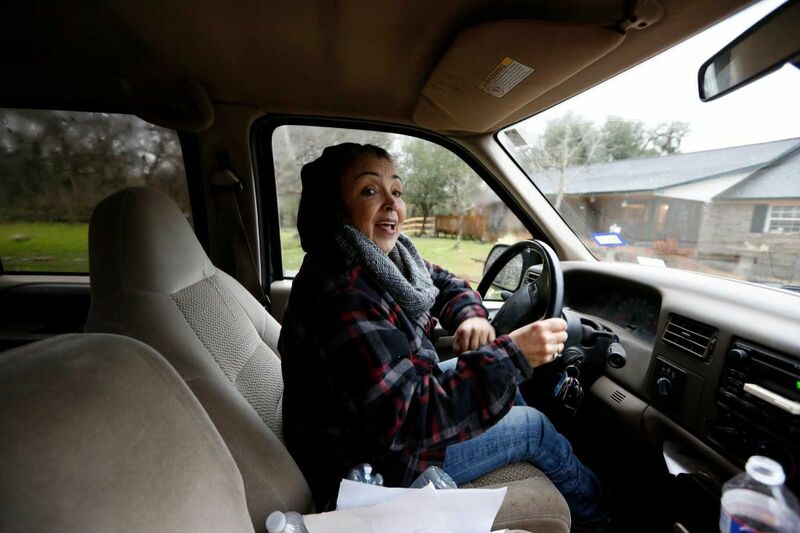 They’re treated just like they’re one of our cats or dogs,” she says. She leans over and squeezes Herman into a hug. Rowdy Girl Sanctuary founder King-Sonnen lies with Herman in his shelter. 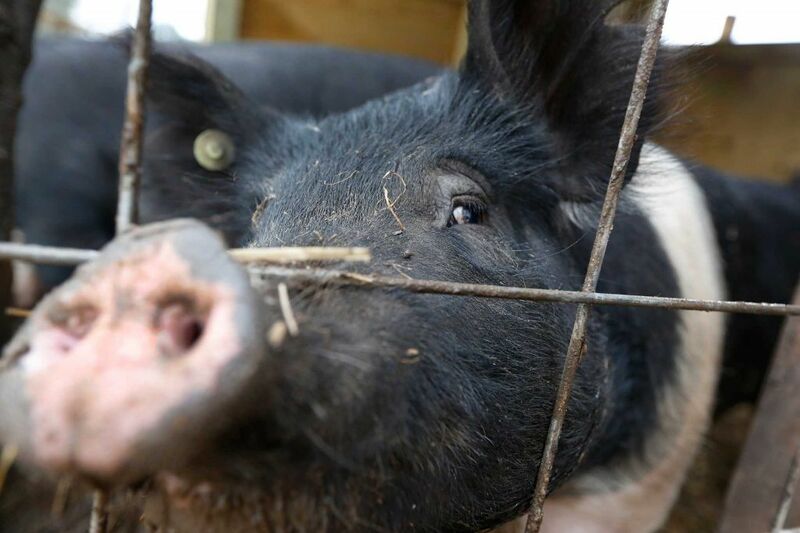 Herman, a bristly black-and-white pig, was the first animal rescued by the ranch. 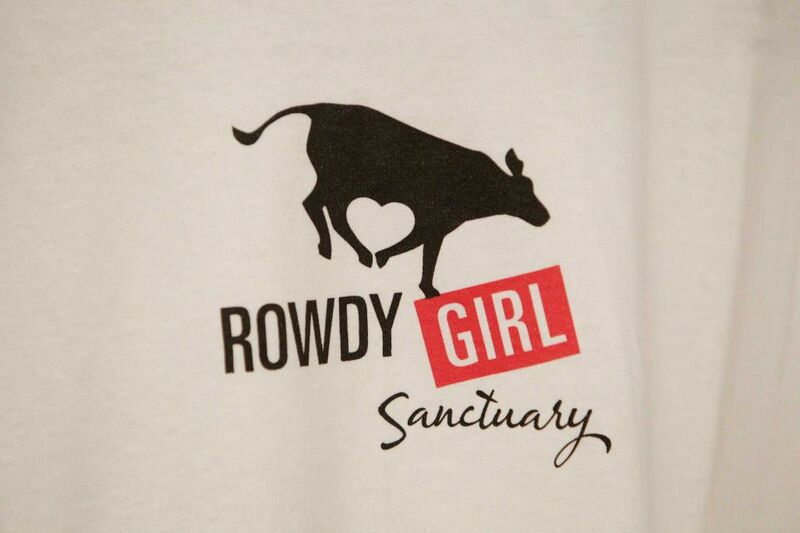 A Rowdy Girl Sanctuary shirt is displayed. Rowdy Girl Sanctuary resident Bullseye, center, and friends chow down. 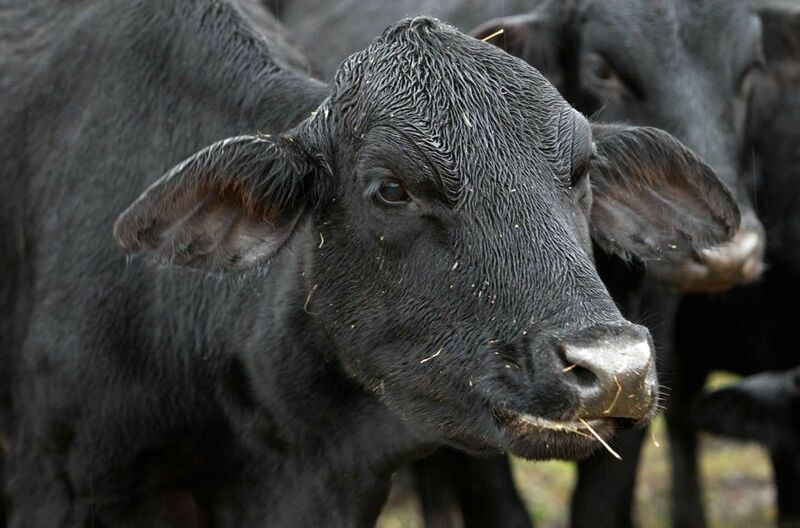 The sanctuary is home to 48 cows, seven chickens, a turkey, four horses and four pigs. 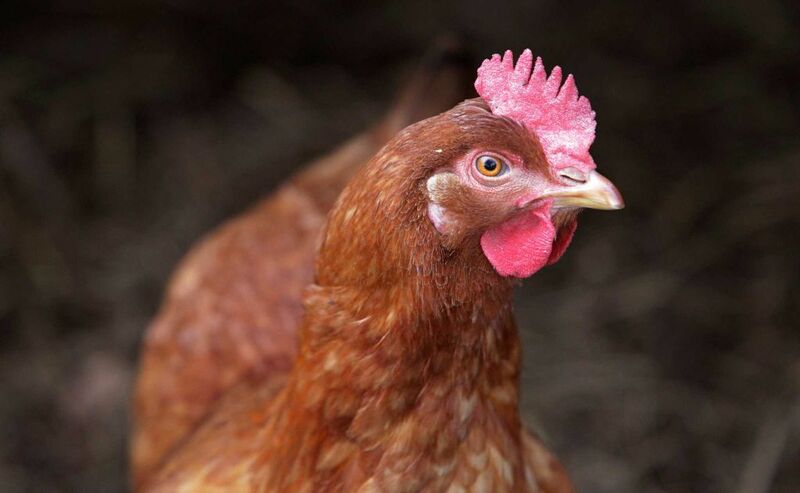 Twisted Sister is a resident chicken at the ranch. 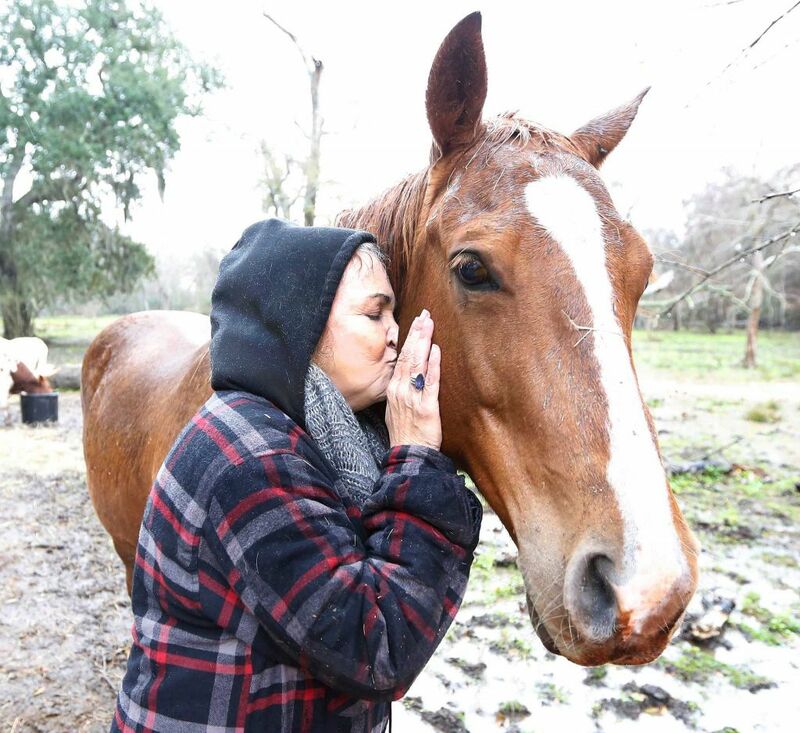 Rowdy Girl Sanctuary resident Cami receives a kiss from ranch owner Renee King-Sonnen. Thank you from my inner core. 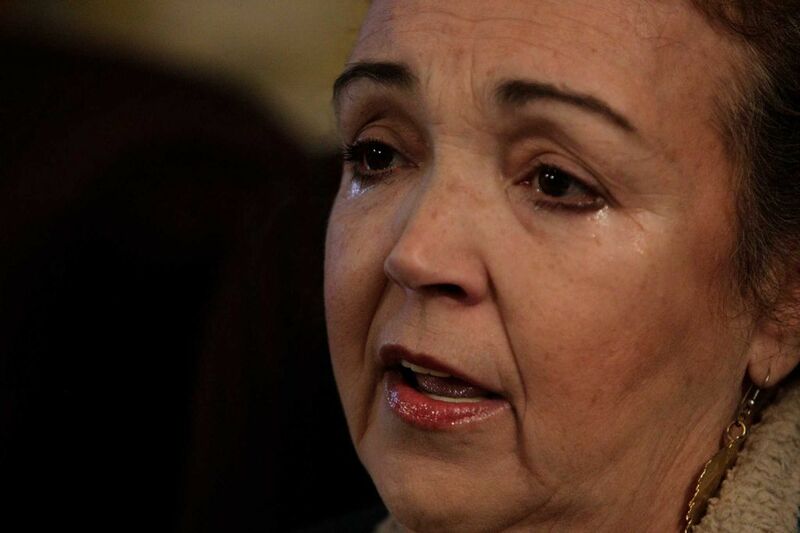 Your story brings a tear of joy to my eyes and a big smile to my face (and heart). 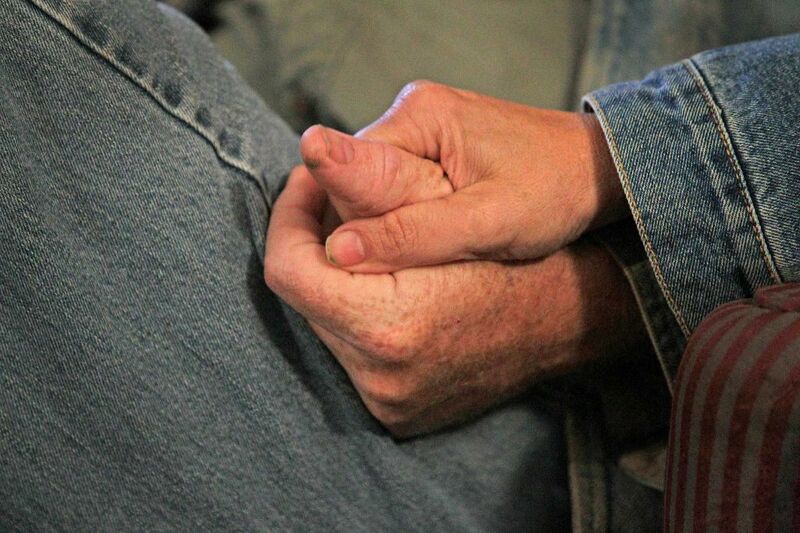 Your compassion and kindness inspires. 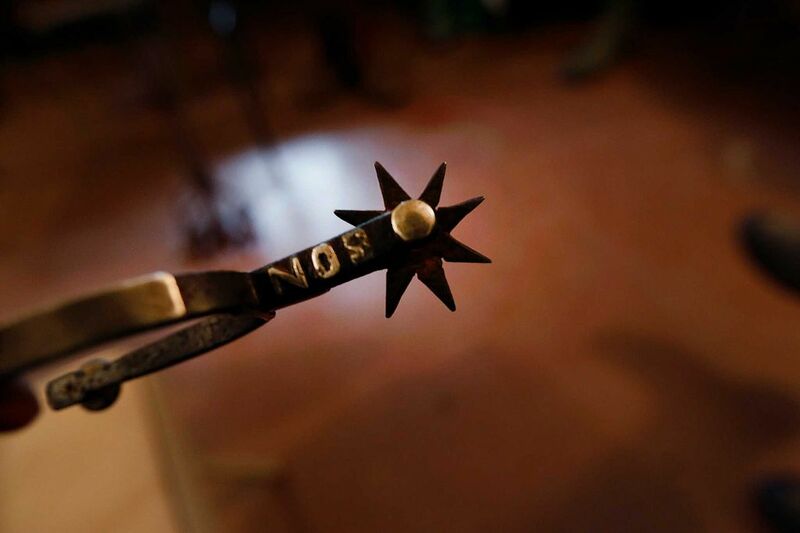 Let’s hope more people see the light and stop the needless cruelty and slaughter. Thank you!! !